Vibration Problems in Machines: Diagnosis and Resolution explains how to infer information about the internal operations of rotating machines from external measurements. In doing so, the book examines the vibration signals arising under various fault conditions, such as rotor imbalance, misalignment, cracked rotors, gear wear, whirling instabilities, and other problems. 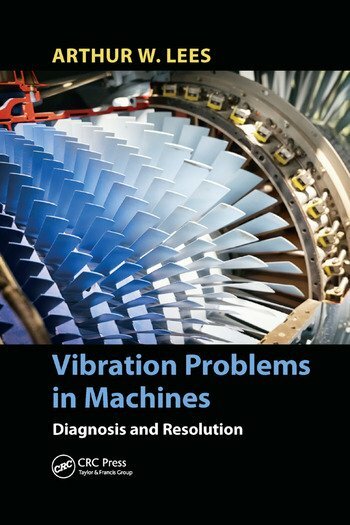 Vibration Problems in Machines: Diagnosis and Resolution includes case studies with real plant data, MATLAB® scripts and functions for the modelling and analysis of rotating machines, end-of-chapter questions, and a solutions manual with qualifying course adoption. The book provides an invaluable resource for those seeking to optimize the use of complex and often apparently contradictory data. Arthur W. Lees, BSc, PhD, DSc, CEng, CPhys, FIMechE, FInstP, LRPS, joined the Central Electricity Generating Board, London, UK, after completing his PhD. Following a sequence of positions, he was appointed head of the Turbine Group for Nuclear Electric Plc, UK. In 1995, he moved to Swansea University, UK, where he is currently professor emeritus. An active researcher, Professor Lees is a regular reviewer of many technical journals, a fellow of the Institution of Mechanical Engineers and the Institute of Physics, and a chartered engineer and physicist. He has served on the editorial boards of the Journal of Sound and Vibration and Communications in Numerical Methods in Engineering, and was a member of the Council of the Institute of Physics, 2001–2005. "The main strength of the book material is a nice blend of practical and theoretical aspects of the subject. The subject of dynamics of rotating machinery is known to evolve from the practice in the field. This book gives that flavour. Rotating machinery runs for longer periods and is bound to have faults during its operation. The information in this book definitely enhances the capabilities of practice engineers and researchers in this field." "... provides comprehensive coverage of vibration in rotating machinery supported by modeling and computational examples."